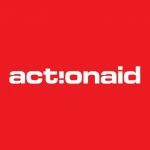 ActionAid UK (AAUK) is a leading UK-based international development charity. It is part of ActionAid International, a Federation present in over 40 countries worldwide. In 2017 AAUK had recently adopted a bold five-year strategy. The organisation commissioned Rosie Chapman Ltd, in association with Belinda Pratten, to undertake a governance review to ensure that its governance arrangements, including structures, skills and behaviours, were optimised to align with this new strategy. The review was a mix of facilitated group discussions, a review of key documents, and a series of structured interviews, with the presentation of a formal report of key findings and recommendations, which have been agreed and adopted by the Board. 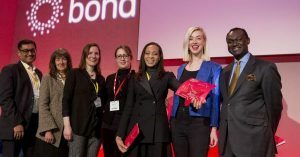 Bond’s (the UK network for organisations working in international development) Governance Award in 2018. 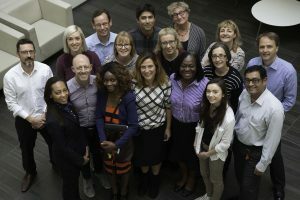 The Governance Award recognises NGOs who are practising and promoting good governance within their organisation and was presented to the charity at Bond’s annual conference. The Board Diversity and Inclusivity award at the 2018 Charity Governance Awards. The review also featured in the May 2018 edition of Governance and Leadership magazine (£).